There is no denying that Apple is definitely making their products unique to all others – especially now more than ever with the introduction of the micro SIM card. GSM phone owners worldwide who've been accustomed to using their friendly sized SIM cards will have to forgo their little friends in favor of the relatively unused micro SIM cards in order to use either the iPad or upcoming next generation iPhone. 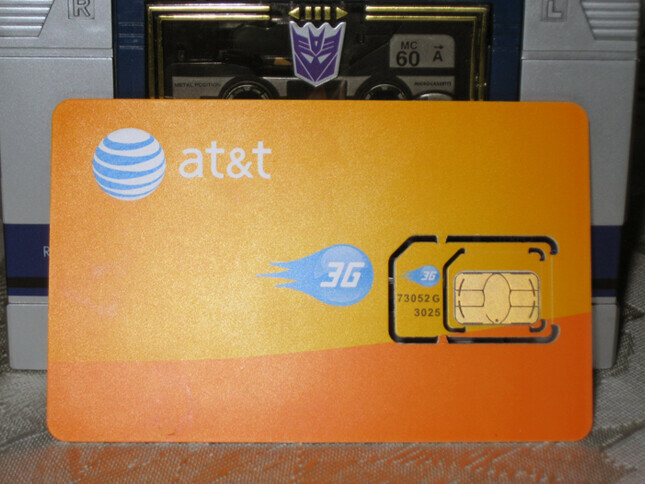 AT&T stores have started receiving these small bundle of joys in time for the Apple iPad 3G launch and looks to be basically your ordinary sized SIM card with perforations to outline the micro SIM card. Unfortunately there are literally zero devices outside Apple's pride and joys that rely on using this nontraditional standard, but when it comes to anything Apple, consumers will have to cave in and switch in order to experience all the wonders of these two Apple products. ok, so maybe you guys had it correct when you told us that the new iphone has a slot for the micro-SD card....my bad, as I thought you had meant microSD card. WOW, so AT&T can no no longer sim swap to other devices if the new iphone uses micro SD cards. And, they will no longer whine about the 30.00 smartphone requirement as they currently do when swapping their normal SIM into BLACKERRYs and other PDAs. Yippe......Also, AT&T stores do not sell the iPAD, so that leaves us with the obvious upcoming device for which the microSIMs are for. There was never any information about "MicroSD card"... it is "Micro-SIM Card"... and the new iPhone will NOT have microSD cards. you people do understand that LTE is going to use sim cards, right? Yes we do understand that...but y o u might not understand that LTE phones won't be ready until mid to late 2011......!!!!! Do I spy with my little eye, Transformer Soundwave in the background?? My guess as to the the real reason for the use of Micro-Sim would related to the plans offered with the iPad. Specifically one of the options is for non-contract, unlimitted 3g data for only $29.95 a month. Now consider someone who is currently paying $60 for 5gb of usage with a Dataconnect plan, they could simply get a sim card for an iPad plan and have unlimitted data for half the cost.